Successful career woman in entertainment industry. 1st visit: Records were taken, including photos and impressions. 3rd visit: Teeth were prepped and temporary restorations were placed. 4th visit: Final smile was delivered. 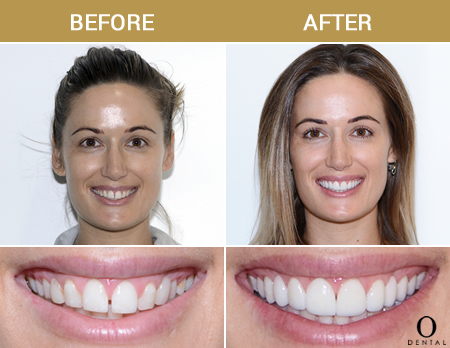 Von was overjoyed she did not have to wear an uncomfortable, removable plastic device for her teeth! She was extremely happy with the final result.